A sport with real breadth, dirt biking is more than just the race tracks of motocross. From the sun baked wide open desert to tight single track in rain soaked forests, dirt biking covers almost every surface and weather condition. And with such variety comes a need for parts and gear that is both specialized and adaptable. 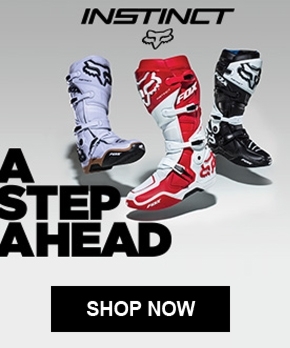 MxMegastore is an epicenter of dirt bike riding and carries the parts, accessories and gear a rider needs to stay out on two wheels. 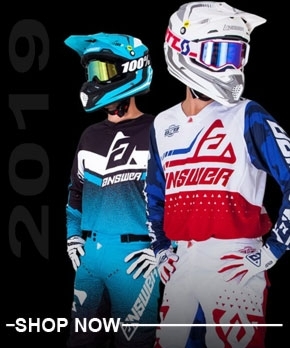 MxMegastore also sponsors riders, so gear up with the latest jerseys, pants, boots and helmets from Fox, Thor, Shift, Alpinestars, Answer, Bell, Fly, and O'neal.